This Photo was taken at a car show in Williams Arizona sponsered by Twisters 50's Soda Fountain. 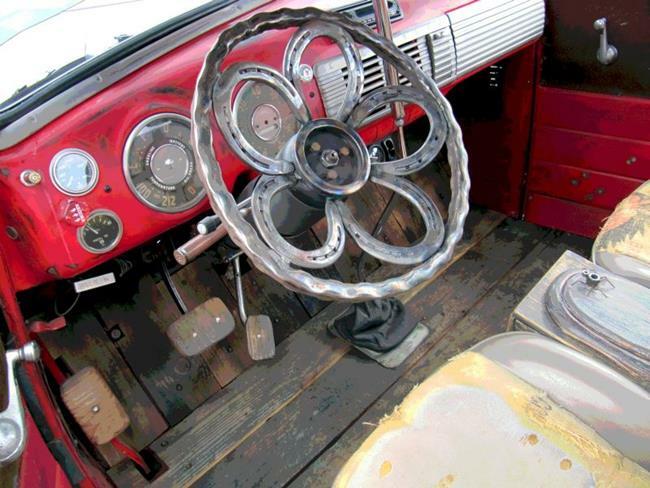 Notice the steering wheel made from horse shoes. The shifter is a shot gun. The seat covers are made from old feed sacks. Rat Rods are becoming the new attraction at car shows.